Trinity’s senior choir – known as the CHANCEL CHOIR since 1954 - shares a passion for meaningful music in worship today. This is a mixed -voice choir of 20 devoted singers, with a wide range of musical talents- including a real joy for singing. Weekly choir rehearsals are on Thursday evening, beginning at 7:30 P.M., and are always full of music, fun, and fellowship. Throughout the year, the choir also participates in special musical events, including a traditional Advent Lessons and Carols Service. When requested, the choir sings at Weddings and Funerals. Originally from Toronto, Mary grew up in Whitby where she attended Ontario Ladies College and then the University of Guelph. She and her husband, John, have been members of Trinity since 1966. 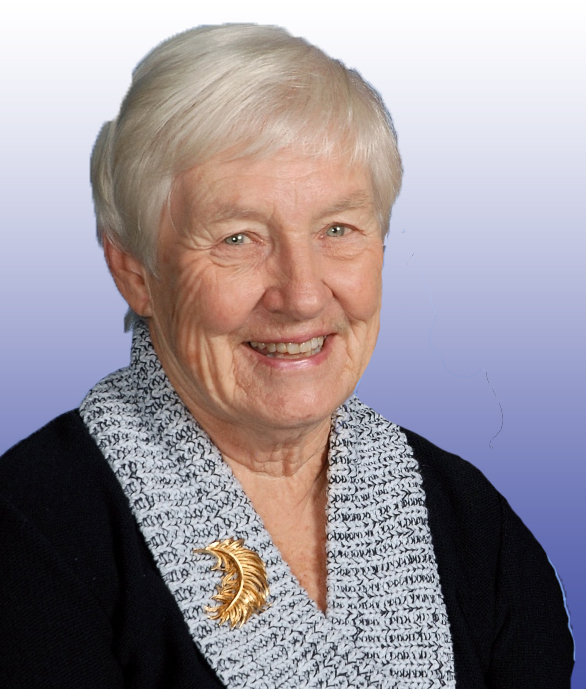 Mary taught at Kitchener Collegiate Institute, sang in the choir at Trinity and Forest Hill, is a past president of the UCW and was a driving force behind the Oktoberfest Brunches among other things. Mary has devoted decades of her life to volunteer work including sitting on the Boards of the Volunteer Action Centre, Steckly Farm, Family Fun Days and Festival of the Night. Mary became involved in UNICEF while living in Africa and worked with the UNICEF Immunization Team in rural Uganda. Upon returning to Canada, she continued to volunteer with UNICEF on the local, Provincial, & National Executives for 20 years. Lynda’s family has been associated with Trinity for close to 70 years. Her parents and grandparents were dedicated members and related to early Trinity organist George Ziegler. Lynda is also proud to be the name sake of former United Church Missionary and United Church organist, Lyda Lynn. From UCW Co-president, to Membership Committee Chair, to Trinity Ministry Team member, Lynda has volunteered in many ways at Trinity, but nowhere more passionately than as choir member. She has sung in 3 different Trinity choirs since 1959 and is currently Chancel Choir Secretary, Treasurer, and Trinity’s Music Librarian. Offering meaningful choral music in Worship has always been her goal. Lynda often finds occasion to share her time with residents at Bankside Retirement Home, where her parents Lloyd and Ruth Donohue once resided. She also works as a Mary Kay Consultant. Lynda is married to retired banker, Ken Wilson, the mother of 4, and proud grandmother of 5 grandsons. 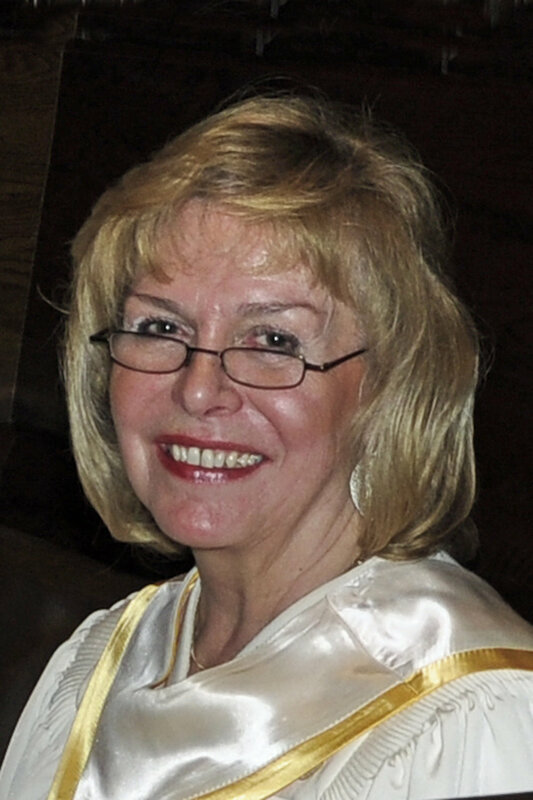 As a lifelong member of Trinity United Church, Lynda has always been proud to call Trinity: “Home”! Kathy was born in Regina, Sask and grew up in Vancouver, Calgary and Kitchener. She joined the Wesley Choir, the High-C group and the Young People's Group when she was in high school, eventually joining the Chancel Choir. Kathy ran both the kitchen and dining room over the years of the Oktoberfest Brunches, and was on the Couples’ Club executive for years. She served as Chair of the Membership Committee amongst other leadership roles. Kathy recently retired, after 35 years, from being Librarian for the Renaissance Singers, and leaving their Board as Chair and also worked for the Canada Revenue Agency and Canada Trust. She is married to Graphic Artist/Art Director Bob Greaves, and is a devoted mom, step-mom and grandmother. Kathy enjoys singing in the Chancel Choir and remains heavily involved with Trinity. As near as Steve can recall, he has been in and out of the Trinity Choir since his final years in high school, when he returned to Kitchener from New Liskeard. During that time, he has enjoyed a succession of ministers and music directors, and continues to be privileged to be a member of the Trinity Choir Family. Steve has served as Choir President , Search Committee Co-Chair and Music Director Advocate. For a brief time, Trinity even had a band, and he played tuba. As long as he can remember, Steve has been passionate about instrumental and choral music. In addition to the Trinity Choir, he has had a long relationship with the KW Symphony in a variety of capacities. Steve is a former KWS Board member, and with his with Laura, oversee the scholarship process for the KWS Youth Orchestra Program. The KWS relationship has also brought about many wonderful friendships. Steve is a career technology professional and continues to be amazed by the accomplishments and progress that have been made since his career first started. He is intrigued by quantum computing, big data and temporal mechanics. When he can, Steve enjoys impersonating an operatic basso or an orchestral conductor. 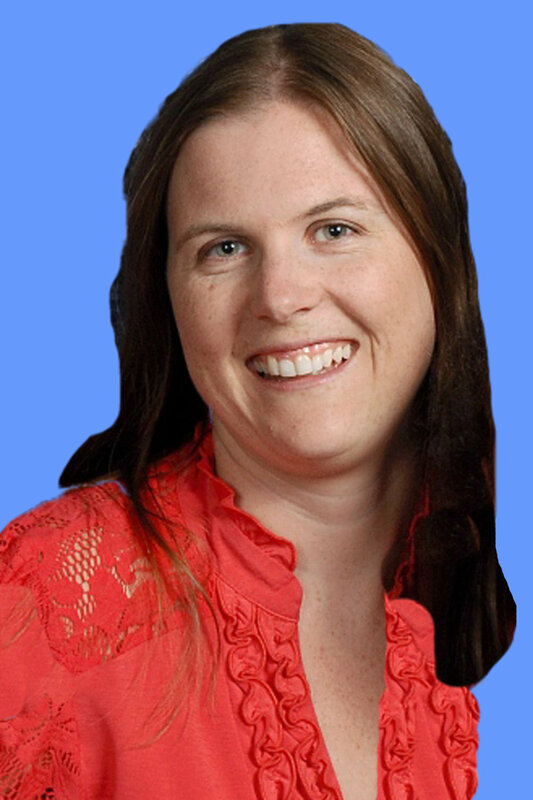 Jennifer Spaulding has been teaching Music and English at Kitchener-Waterloo Collegiate and Vocational School since 2007. She met her future husband, Chad, back when they attended KCI together and the couple now has two children, Sierra and Chase. Jennifer currently directs the Women’s Choir and Concert Choir at KCI. She has also volunteered in many roles with The Community Players in New Hamburg over the past number of years. She has been singing with choirs at Trinity since she was 4 years old and will mark her 20th year with the Chancel Choir next year! For well over a century, music has played an integral part of worship at Trinity and choirs have provided musical leadership during services. Many choir members are also long-time Trinity members who are determined to preserve and further develop Trinity’s music tradition by encouraging young singers. To assist in this congregational goal, a CHORAL SCHOLAR PROGRAMME was created. Choral scholars are eagerly welcomed from the community and local universities. They are required to attend all rehearsals, worship services, and special musical events. They support the rest of the choir by knowing the music well, singing with professional confidence, and helping those who have less experience. Scholars are provided with an honorarium which is financed through the church budget, special donations, and the Music Trust Fund. Trinity has a long time tradition of inviting university choral students to sing with the Chancel Choir. Daniel Lichti, now a well known soloist, Laurier professor and vocal teacher/mentor, was one of trinity’s earliest singers. The programme began at Trinity in 2002. Through the choral scholar programme, Trinity’s music is enhanced by the support of the scholars’ skills and talents and the choir is able to sing a greater, often more challenging, repertoire focusing on more meaningful worship. Choral students are provided with the opportunity to experience working in a local church with volunteer singers, learning appropriate literature for church choir, and building community, while earning a stipend through regular employment. It has been a blessing for all. New Chancel Choir members are always welcome at Trinity. Contact Trinity’s Music Director, Gordon Allgeier for further information. Since 1906, CHOIR DIRECTORS have included: Mrs. A.B. (Racie) Pollock, George Ziegler (1917-1949), Muriel Kenny (1949-1956), Gwilym Bevan (1956-1967), Raymond Daniels (1967-1972), Gordon Atkinson (1972-1973), Lois McCabe (1973-1974), Robert Bell (1974-1975), Mrs. Lois Couch, née McCabe (1975-1988), Ms. Sheryl Loeffler (1988-2001), Adriaan de Vries (Interim 2001-2002), Alan Whitmore (2002-2008), Ken Seiling (Interim 2008), and Daniel Zondervan ( Aug. 2008- Jan 2010), Ken Seiling (Interim Jan 2010-May 2012), Alison Clark (July 2012-Jan 2016), Ken Seiling (Interim Jan 2016-2017) and Gordon Allgeier (March 2017 - present). It is surely due to the dedicated guidance and special talents of these organist/ conductors that Trinity has been blessed with such a fine musical tradition.